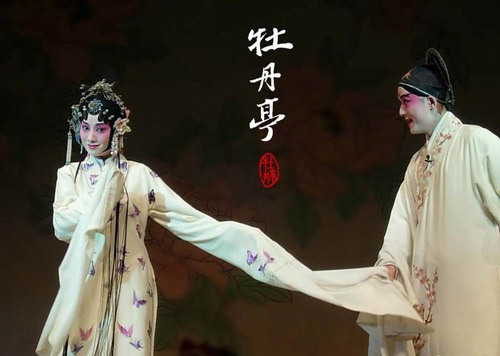 The Kunqu Opera (or Kun Opera), a highly refined and literary form of performance, is China's oldest form of classical opera with a history of over 500 years. This CCC two-hour opera workshop will be lead by Chinese Opera expert and actor Zhang Weidong who along with a few of his fellow actors will give a small performance, highlighting the authenticity of what is known as traditional Kunqu Opera. 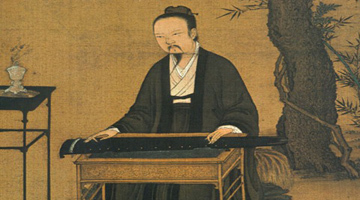 The use of poetry and its interpretation into musical notes unique to the Kun Opera will be demonstrated by singing and interaction with the audience. 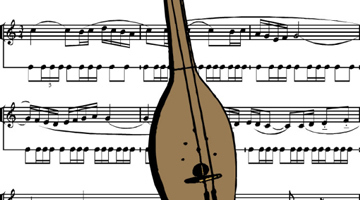 Our CCC guests will learn to read and sing these special musical notes along with the acting troupe as well as understand how this refined art of poetry, singing, and performance through gesture and costume is one of the world's greatest masterpieces of oral heritage. Mr. Zhang Weidong is a university professor and an actor with the Kunqu Opera of the Northern Kunqu Opera Troupe. Adviser of Kun Opera for Peking University, Mr. Zhang delivers lectures and workshops for the better understanding and appreciation of the authentic version of the Kunqu Opera. The Kunqu Opera (or Kun Opera) a highly refined and literary form of performance, is China's oldest form of classical opera with a history of over 500 years. 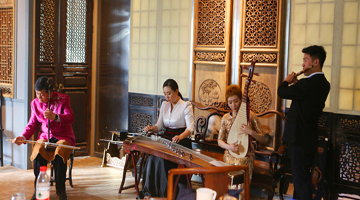 In 2001 the United Nations Educational, Scientific, and Cultural Organization (UNESCO) listed Kunqu Opera as its first priority in the world's "Masterpieces of the Oral and Intangible Heritage of Humanity." This milestone event helped halt the decline of Kunqu Opera and bring new energy to this art form. This "elegant drama" which has barely survived in the last century was almost lost entirely as it’s highly refined, literary sensibilities gradually made it less appealing to the masses. Still, kunqu remains largely overshadowed by the noisier spectacle of the Peking Opera and faces a time when Chinese Opera on the whole is losing ground to cinema, television and other elements of pop culture. The prices include: talk and show by two peking opera performers and one make-up and dress lady, English-speaking expert and Venue. At your appointed venue: there will be an extra charge for offsite venues, because extra time will be needed to transport the materials and prepare the venue for most classes/workshops (except taichi or talks). Special rented venues can be arranged for corporate clients. The CCC’s center can accommodate maximum 10-20 people for a class/workshop.